I have been trying all morning to get the TLMDSysNetworkEnumerator to work but it will not get past the first level of the network information. 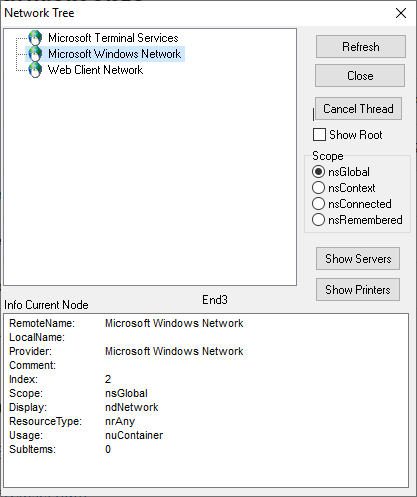 I have no trouble browsing the network on this system using a standard explorer window or using a TOpenDialog control. This appears to be a windows issue. I have posted a question on MSDN as I cant get Microsoft's demo application to work either.